I first identified the significance of preserving this nose art to CEFCOM HQ back in 2010 and wrote an article on the artwork for Canadian Military History Magazine in 2012. I am pleased to report that four examples of the nose art are now on display in the Lebreton Gallery of the Canadian War Museum. They were well done but it's just too bad that only one artist was able to submit his designs when we finally received permission to add the nose art very late in the final tour. There was originally text on some of the panels but that was ordered removed. Also, it would have been nice to see other technicians recognized for their artwork on the Chinooks which was done unofficially in most, if not all the cases. Steve, I am still working on getting the Chinook artwork saved and hopefully it will someday also be displayed with credit given to the artists. I cannot thank you enough for the leads that you have given me on this project. So we now have 4 Griffons flying around with no nose covers?? Must play havoc with their aerodynamics. I note that these are all politically correct specimens. Seems to me some of the Chinook art was a little racy. I can't imagine Ottawa displaying some of them without a bit of modification to "G" rating. Miss. 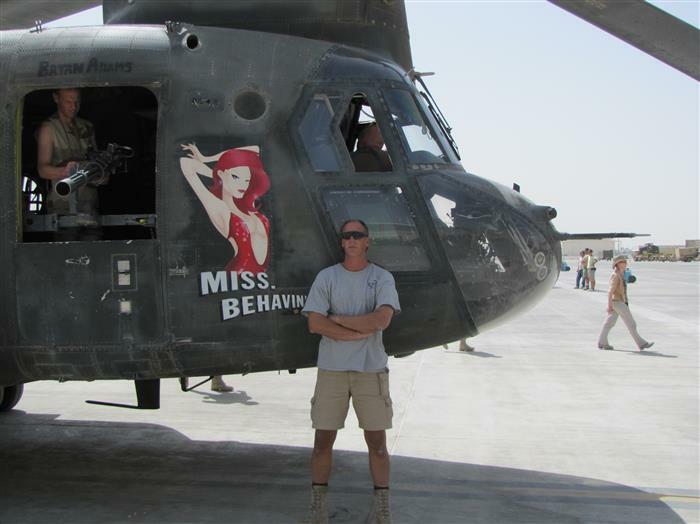 Behavin' is no more risqué then the WWII bomber nose art which is already on public display in the CWM. Was that the worst of them? Seems to me there were a couple more that surprised me to be on Cdn craft. It may not have been as pretty as Miss Behavin, perhaps more non PC art? and believe I was mistaken. They are all pretty tame. No problem Ed. It's pretty cool to have been a part of the process and to be a witness to history. Thank you for your tireless efforts to do something that others don't seem to consider important enough to preserve. The fruit of your labor will hopefully live on in perpetuity. Here is my photo of Miss. Behaven' I have some other photos of nose art somewhere. Now that I have internet in the new place and am settling in, I hope to get some time to get caught up on important things like hanging out on the forums. I found one of nose art photos of one of the Griffins. 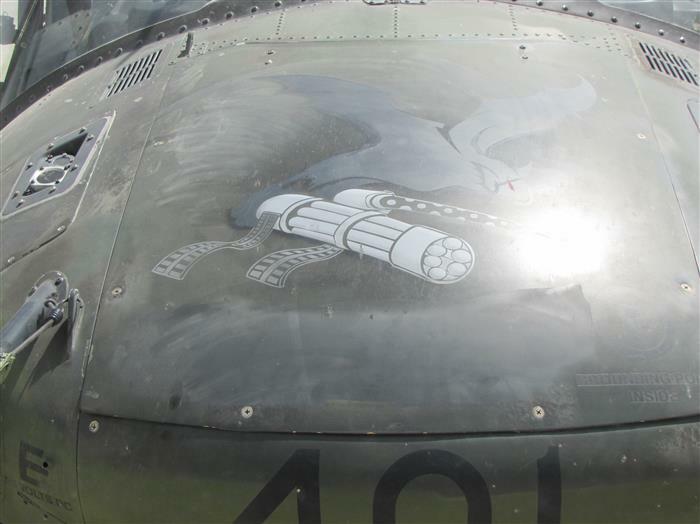 Here is my photo of the nose art from 425, note it is displayed in the photo in the news article Ed wrote at the first posting. 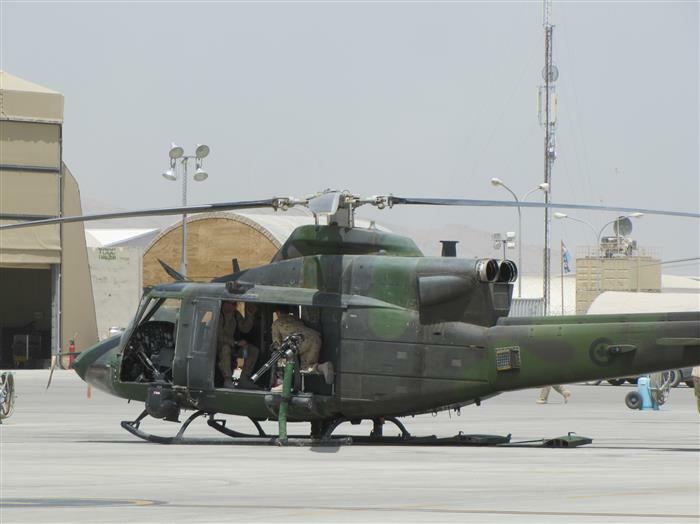 A side view image of 425, sitting on the ground at Kandahar Air Field. 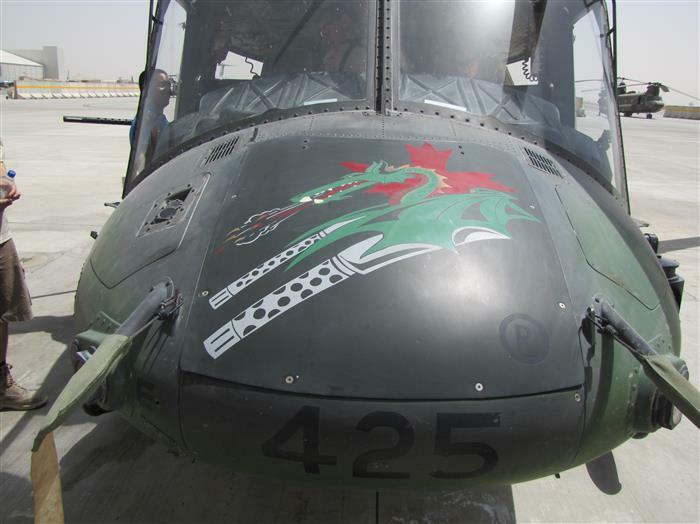 Unfortunately the 'Bat Outta Hell' nose art was not saved by DND. That's "Hel" with one L..... as in the abbreviation for helicopter.